Verizon, Samsung and Facebook are backing a series of NFC hackathons which are to take place in New York, Boston and San Francisco this month. The hackathons take place over separate weekends — the first is in New York on 6 and 7 October — and winning developers will share US$6,000 in prize money along with free hosting and kit. 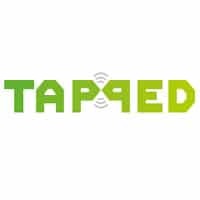 “At Tapped you’ll get your developer paws on some juicy NFC gear, ground-breaking development tools, and cutting-edge technology,” say the organisers. Other sponsors include Github, Rackspace, Blue Bite, Cellotape and Endeavour Partners. US Cellular to add Google Wallet?